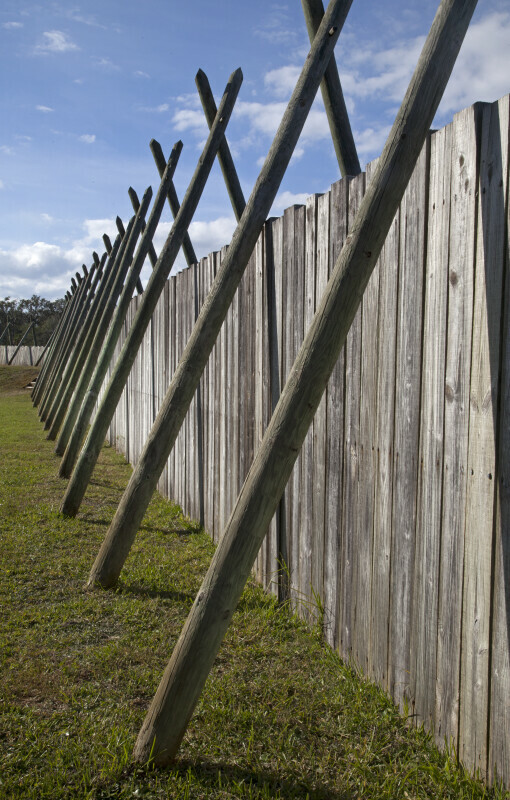 This photograph shows a wooden fence at Fort Caroline National Memorial. The wooden fence represents the walls which once protected Fort Caroline. WARNING: You are about to download a 53.8 MB TIFF!